The roads of this world lure us with countless curves and corners. At night in particular, it is vital to achieve optimum illumination of the roads. As a result, at the point where human visual acuity reaches its limits, Porsche is extending the field of vision thanks to intelligent technology. This means you reach your destination faster, or simply allows you to enjoy the driving experience. The Porsche Dynamic Light System (PDLS) and the Porsche Dynamic Light System Plus (PDLS Plus) convert the main headlights of your Porsche into active assistants which do everything to ensure a relaxing and comfortable drive. After all, when it comes to controlling a vehicle, a visionary approach is sometimes characterised by the ability to see objects those decisive few tenths of a second earlier. These Porsche exclusive headlights mean greater security and comfort. With dynamic cornering lights and high beams and intersection lights, you see more clearly than ever while driving at night. For more information, check out the full article. Visit us at Town Porshce today to pick out your new Porsche. You won’t regret it. If you have any remaining questions, contact us at (201) 227-6500. 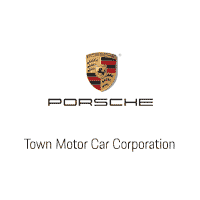 Town Motors Porsche	40.8897518, -73.9750368.